HP Sprocket vs Polaroid Zip | Let's Settle This Once And For All! Today, we will be talking about two very similar models of portable printers: the HP Sprocket and Polaroid Zip. Both are from reputable companies with multiple years of experience in the same industry. They also offer a wide range of features for their customers. Although both are seemingly identical, we want to dig deeper and see which one offers more to the consumers. Comparing two brands can be challenging. But for me, it is the most effective way to determine which product to buy. The head-to-head comparison does not only give you an explicit representation of each product’s strength and weakness. It also allows you to compare both products according to your desired factors. In this setup, since everything is highlighted, a clear winner is inevitable. 8 Whose Is This Product For? 9 Whose is This Product NOT For? We’ll be directly comparing both of these portable printers. 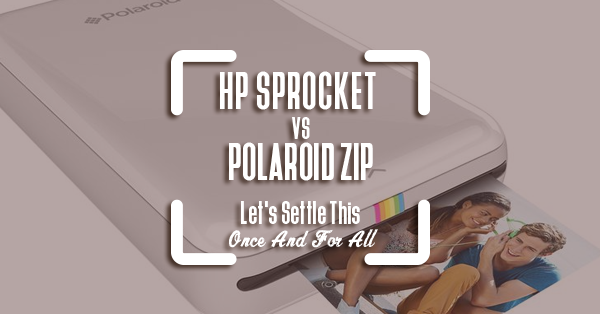 Hopefully, we will settle the battle of the HP Sprocket vs. the Polaroid Zip once and for all. Let me start off by saying that both these products are suited for users who aren’t looking for high-resolution, professional-looking images. Their main weakness is they print out grainy and inaccurately colored photographs. I think consumers who are just looking to have fun will appreciate both the HP Sprocket and the Polaroid Zip more. It will be for taking and printing not-so-good quality photos. However, for the sake of comparison, I think the HP Sprocket has a more consistent print quality. The printed out images are more precise and look way similar to the photos on the smartphone while the Polaroid Zip has more blur and a weirder combination of colors. While both of these won’t really wow you, I would give the minor edge to the HP model. 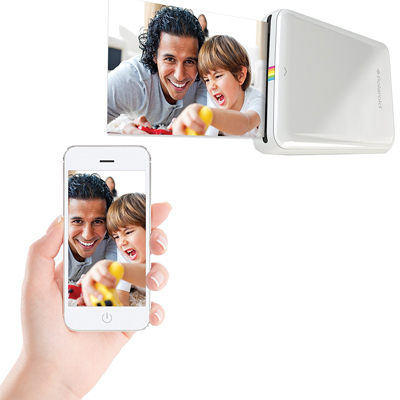 Both these models are designed to help you instantaneously immortalize moments as they happen. So, having one that has a quicker printer speed is a plus. On the average, the Polaroid Zip takes about 55 seconds to completely print a photo while the HP Sprocket normally takes just 45 seconds. 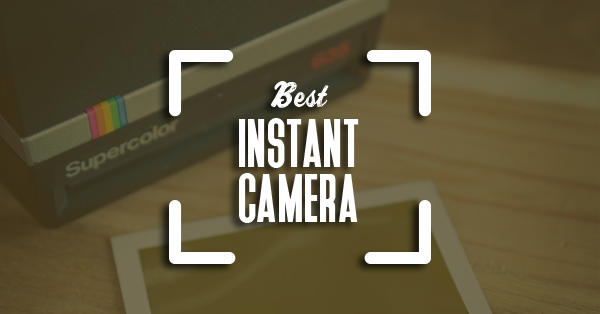 As a result, the former can produce 20 images per full charge while the later finishes 30 photos. While seemingly very similar, those ten extra seconds saved, as well as ten additional photos, make a big difference in the long run. 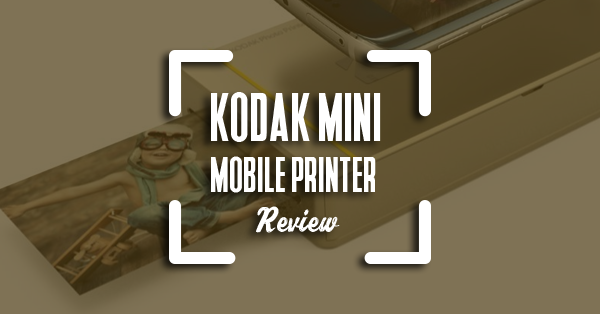 For a person who is always on the go, it is important to maximize your printer’s capabilities. The last thing you want to happen is to have a moment pass by because your device is out of battery or takes too long to print. In a world where every fleeting moment counts, I would give the slight advantage to the HP Sprocket again. I think the best feature that these models give to their consumers is its compact size and lightweight design. Both the HP Sprocket and Polaroid Zip weigh less than ten ounces and can easily fit in your pocket or purse. The size is a practical feature because you can take this device anywhere you go, and you won’t have to miss any significant moments. Their average dimensions are also the same which means they’re not bulky and won’t pose an inconvenience in bringing around. Overall, no devices present a greater benefit than the other. So, I would say that, in this aspect, it’s a tie. Another major factor that consumers always contemplate is the price of the product, most especially for a portable printer. You don’t want to invest too much money on a product that is substantially seen as a luxury and used for hobbies, instead of actual necessity. Regarding comparing price points, the Polaroid Zip is $20 cheaper than its counterpart. Additionally, the refill of the Zink paper costs the same for both choices. For two products that mostly provide the same functions, as well as the same quality, that is another crucial thing to consider. "Why else would I spend on a product when you can spend on an alternative? Do I trust the brand more? Is there an additional feature that justifies the added cost?" These are just three of the critical questions that you can ask yourself. If you answer yes to any of these two, then maybe, you should buy the more expensive model. Otherwise, it makes no sense to forego the additional savings. Concerning the money saved, I think the clear winner here is the Polaroid Zip. It may not be a huge difference, but $20 is still $20. The ability to edit your photos is a useful strategy for creating the perfect conditions for your photos. At the same time, it gives you a lot of tools to personalize your images according to your style and preference. I downloaded both the Polaroid Zip and HP Sprocket apps and experimented on how to alter the images on each. 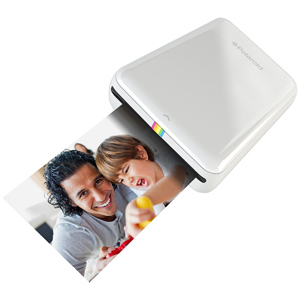 First of all, I think the Polaroid Zip platform is more user-friendly than the HP Sprocket. The icons are straightforward and easy to distinguish. Being a beginner, it was much easier to navigate using this app. It also gives you the basic choices as to what stickers or emojis you would use. 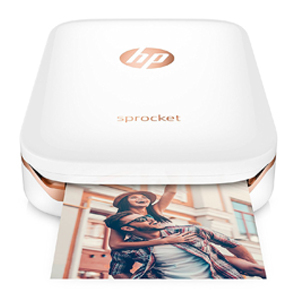 On the other hand, the HP Sprocket application is more intermediate than the Polaroid Zip. The first thing I noticed is that the display automatically rotates, so I had to hold my phone to its side. The settings also use a single symbol, so it was tough to decipher what it was. On the plus side, I appreciated how wide the range of the decorations was. I could choose from different stickers, as well as borders, to enhance my photos. 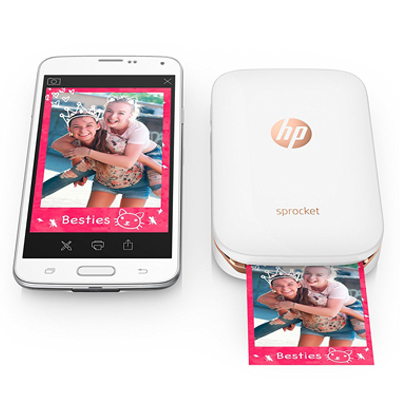 There were a lot of choices on the HP Sprocket app compared to the Polaroid Zip. In general, I would have to side with the HP Sprocket on this factor. While the layout of the app was not as user-friendly, it more than made up for it in the different styles. As a user, I think I would appreciate having a more extensive selection of decorations, so I can truly express my creative side. The unique feature that the HP Sprocket allows you to sync the app with your Facebook, Instagram, and other social media profiles. This feature gives you the ability to download photos to the app and print them instantly. In a world where everything is on the internet, it’s a good option to be able to print these photos and bring them to life conveniently. Having this feature gives you a wider selection of photos to print. Not only are you limited to the ones you take on your phone but you can also download the picture you are tagged in or your friends send. This is an excellent touch by HP to show consumers that they are keeping up with the wave of social media platforms. Personally, I think most users will appreciate this particular function. Personally, I still think that both of these portable printers are designed for personal use. They are great for wanderlusts and sociable people and a fun device to bring with during trips or adventures. If you want to use these products commercially with high-quality images, you cannot experience those qualities from these products. If what you are looking for is professional-looking photos, I suggest you take a look at higher-end models on the market. 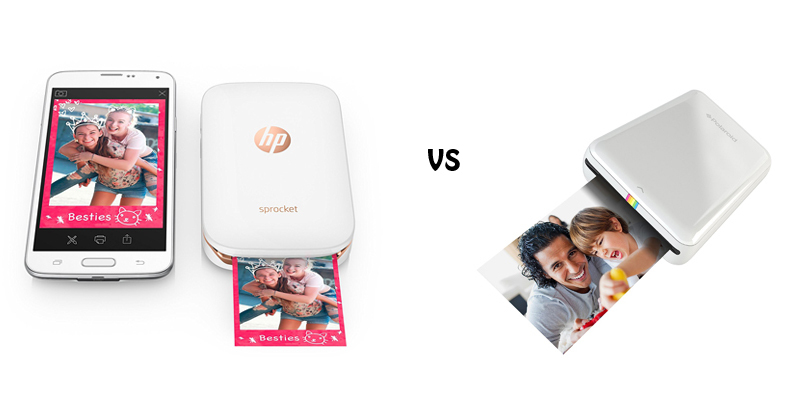 In the match-up of the HP Sprocket vs. the Polaroid Zip, I think we can say that the HP Sprocket is the more superior portable photo printer. 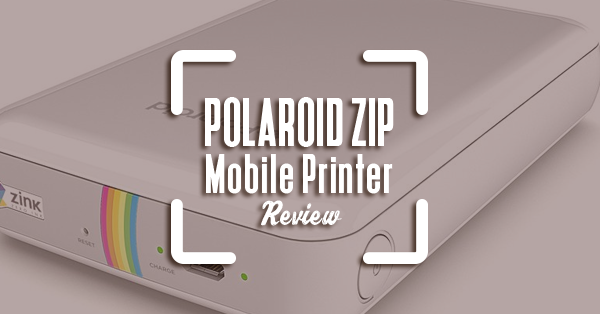 Not only does it provide the same features as the Polaroid Zip have but it also improves on a number of its flaws. This includes the printing time and battery life. Other than that, although the HP Sprocket is still considered as an average at its best, it gives the users a more consistent image quality. 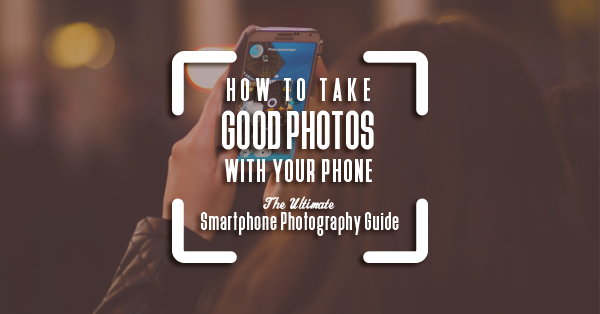 Additionally, having the ability to print your photos on social media is also a bonus for most users. Finally, the price difference between these two products is only $20. All these essentially lead up to the conclusion that the HP Sprocket is an amazing printer to own. It is also a great deal for consumers.